The 2nd edition of the Innovation and High Technology Lab, will open Thursday, February 11th at the Fiera del Levante in the context of the ITA (Italian Trading Agency), Macnil Zucchetti participates with its innovative solutions in the IoT, Automotive, Fleet Management, Digital Mobile Marketing and of course with the App InfoSmartCity. 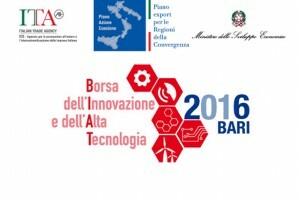 BIAT (Borsa Innovazione e Alta Technologia) is an exclusive event organized in collaboration with the Italian Ministry of Economic Development and the Convergence Regions (Apulia, Sicily, Campania and Calabria), to promote the trading and know how exchange of high-tech innovative products and services through matchmaking between supply and trading and technological demands as well as between start-ups, innovative SMEs, business networks, universities, technology parks and foreign counterparts. Thursday the 11the will attend at the Innvation LAB Mr. Nicola Lavenuta and Mrs. Mariarita Costanza with the sales director Mr. Giacinto Fiore. 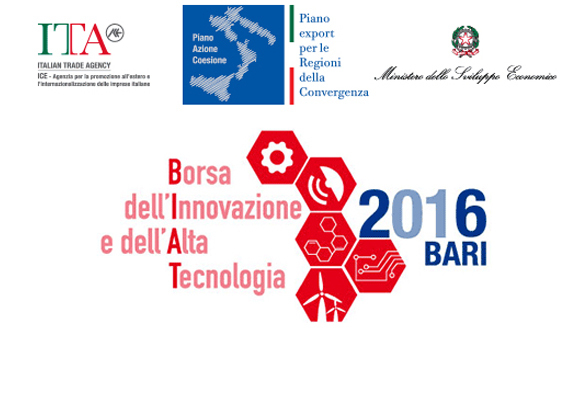 Friday 12 to meet with companies and exhibitors will be Mr. Antonio Cucco Fiore, our international business development manager.